Kirby’s Epic Yarn on the Wii was one of the most aesthetically pleasing and adorable titles on the system, if not on any system. The yarn theme brought Kirby to life in a different way than his previous games, making for a fun, albeit extremely easy, Kirby platformer focused mostly on having a breezy adventure. 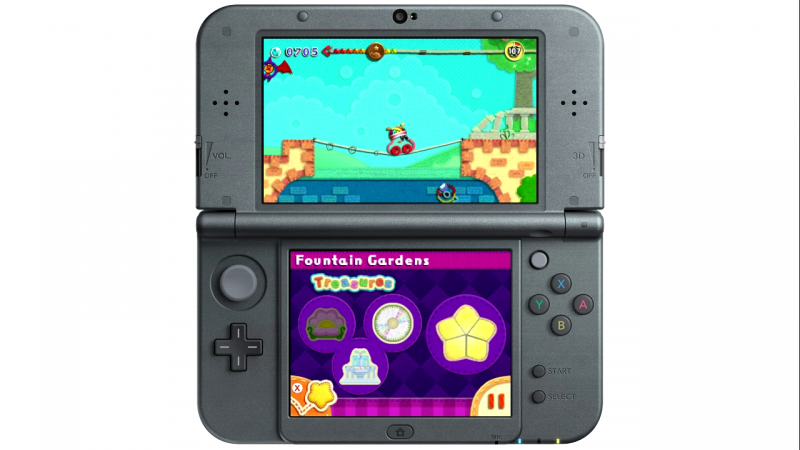 Now, Nintendo is planning to release the game on the 3DS in a new port with a few changes. In addition, Devilish mode introduces Kirby’s own Mr. X to stalk him throughout the levels, though perhaps not quite as intimidating. A flying devil hovers around Kirby using different styles to attack him, like dropping enemies down from above. While you can toss enemies at the devil and eventually defeat it, it comes back before too long to keep chasing you throughout levels. The devil makes standing around collecting beads much more difficult. Attacking enemies is now a little bit easier than it was before, as well. In the original release, Kirby could not swallow enemies to absorb powers. While he still can’t do that with the same breadth as in other titles in the series, he can now gain the ability to create and thrown yarn balls in different directions. When he grapples an enemy, Kirby can throw a large yarn ball that goes through multiple enemies or obstructions. Without anything to grapple on to, Kirby creates a smaller yarn ball, which is still quite useful. One notable loss for the 3DS version is the lack of co-op, which was a fundamental feature of the Wii game. Prince Fluff, Kirby’s royal blue friend, still makes an appearance in the game, but only to give helpful items. Kirby’s Extra Epic Yarn is now only a single-player affair. 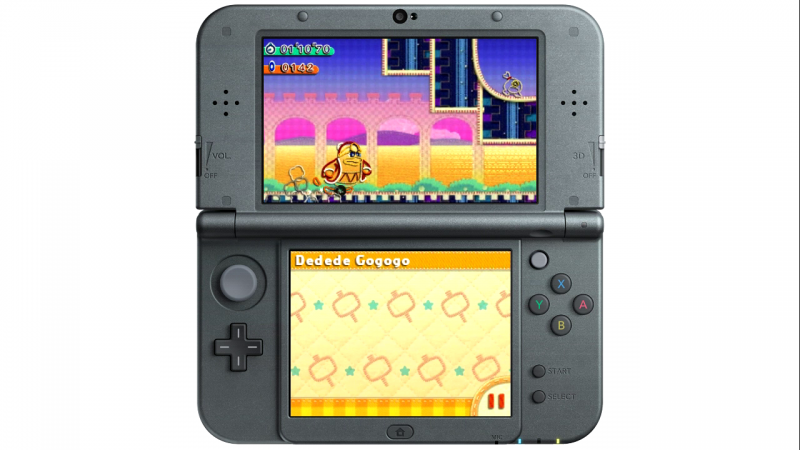 Two new minigame modes have been added to Extra Epic Yarn, titled Slash and Bead and DeDeDe GoGoGo. 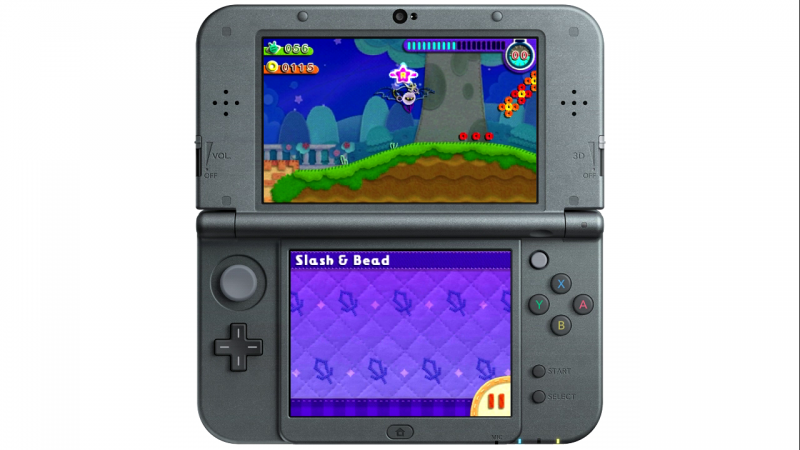 Slash and Bead is a time attack mode using Kirby’s rival Metaknight, giving him unique levels to run through and kill as many enemies he can as fast as possible. DeDeDe GoGoGo stars, of course, King DeDeDe, essentially putting him in a runner. The penguin must navigate obstacles in the way by smashing them, ducking under them, or just not jumping into them for a high score. As the 3DS begins to wind down development and Nintendo moves their focus to the Switch, a somewhat under-the-radar Wii port seems like a strange swansong for the aging handheld, but it’s easy to forget what a quality title it was originally. Whether the changes make for a more compelling experience or a reason to play it again will be answered when the game releases on March 8.